The model that started it all. The Nike Air Huarache was a brainchild of Nike design legend Tinker Hatfield that asked runners “Have you hugged your foot today?” The lightweight runner (The original clocked in at 9.5 ounces) stripped away the busy Swoosh branding of the day and instead let the technology talk. That technology included a blend of Lycra and neoprene fabrics that would forever alter the course of Nike history. The shoe made famous by the legendary Fab Five squad from the University of Michigan. 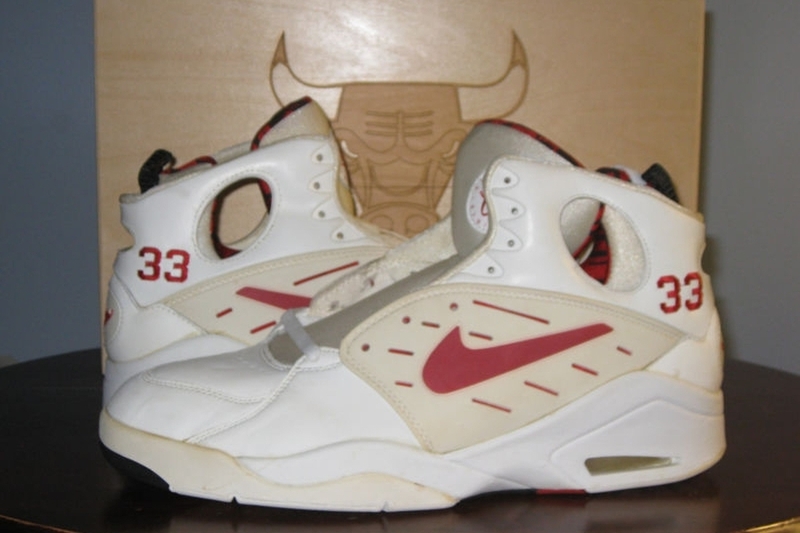 The Nike Air Flight Huarache marked the start of the Huarache tech’s cross categorical successes. The model was very much a departure from the bulky style basketball sneakers the Swoosh was cranking out back then, with a lightweight ankle piece that stripped away excess weight. 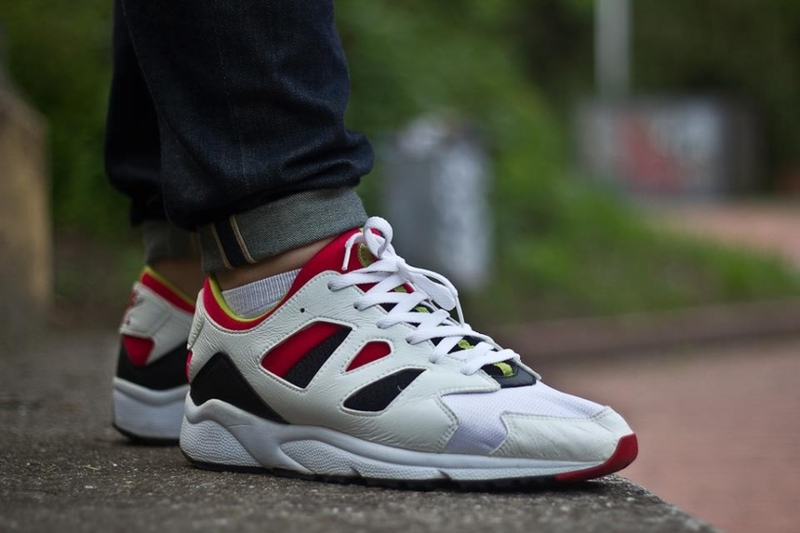 This Nike Huarache sneaker is definitely among the more obscure of the early 90s models, but it deserves a spot here as a reminder that the technology didn’t abandoned the running category after its initial success. 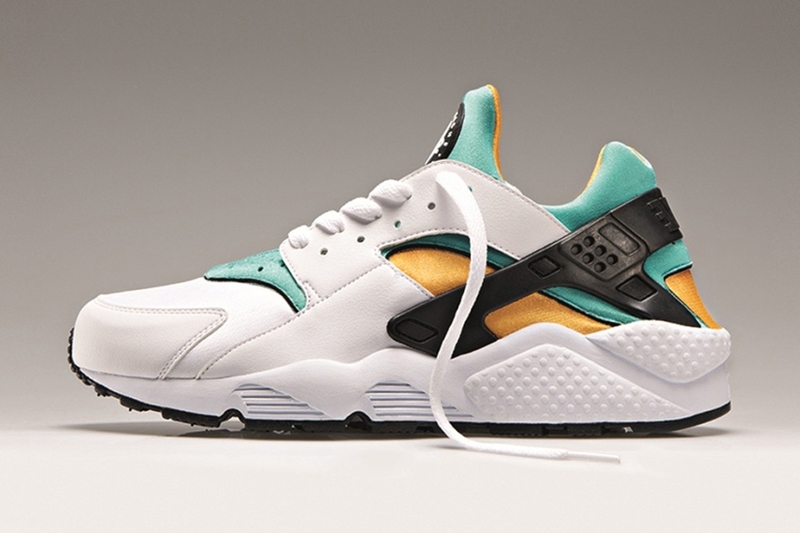 The pair definitely had its differences in comparison to the original Nike Air Huarache – it did away with the chunky heel counter on the back and featured a little less neoprene up towards the toebox. 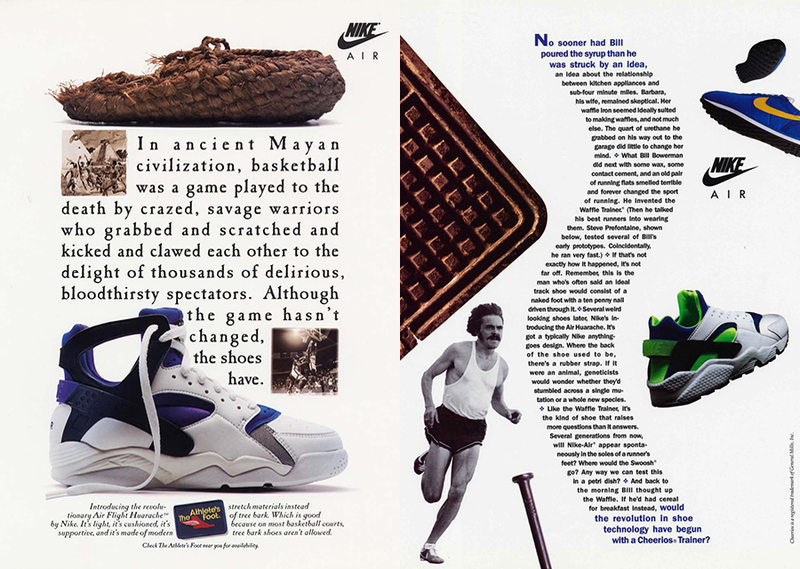 The Nike Huarache technology spread to a number of categories back in 1992 and training was one of them. 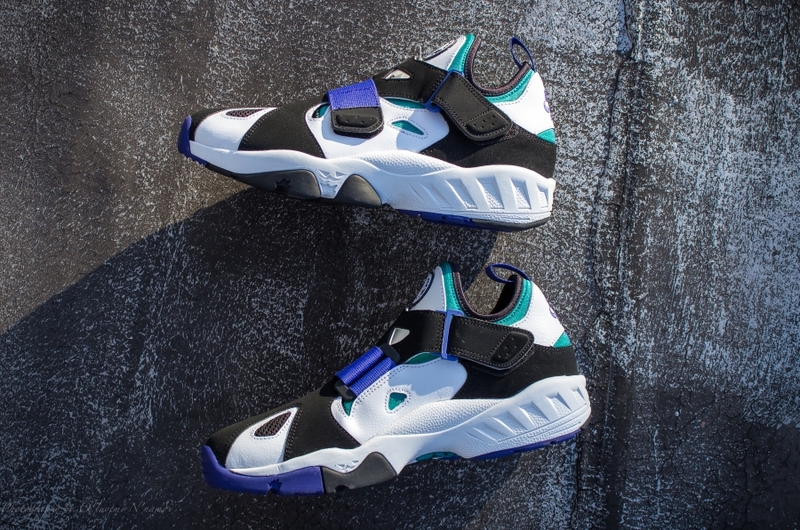 The sneaker had a height closer to that of the Air Flight Huarache than the standard Huarache build and slapped the all-important strap across the middle to lock things down. The shoe has been re-issued and upgraded countless time since and can still be found on sneaker shelves with regularity. 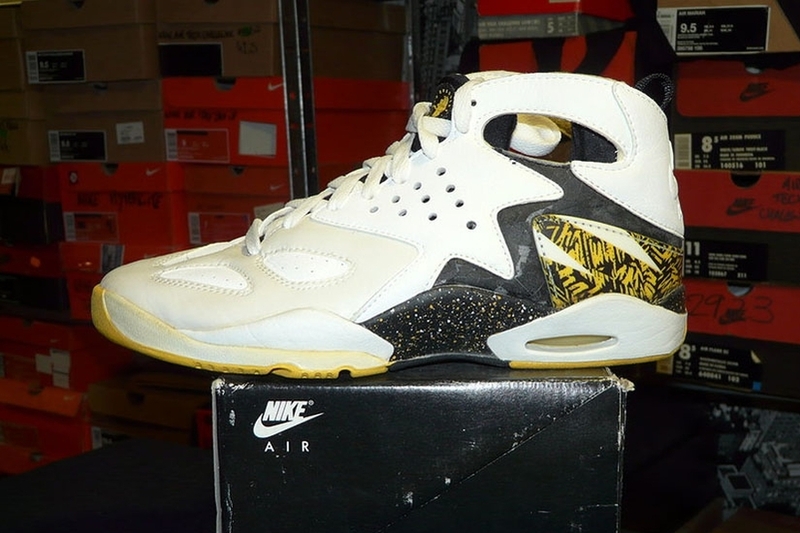 Yes, even Agassi got a piece of the Huarache action back in the day. Originally billed as the Air Challenge Huarache (This year’s retro issue makes some key tweaks to the OG build) this model featured one of the first marriages between visible air and the Huarache tech. The Nike Air Dynamic Flight was an on-feet favorite of Scottie Pippen back in the early 90s, so the sneaker is etched in the memories of many a Bulls fan. 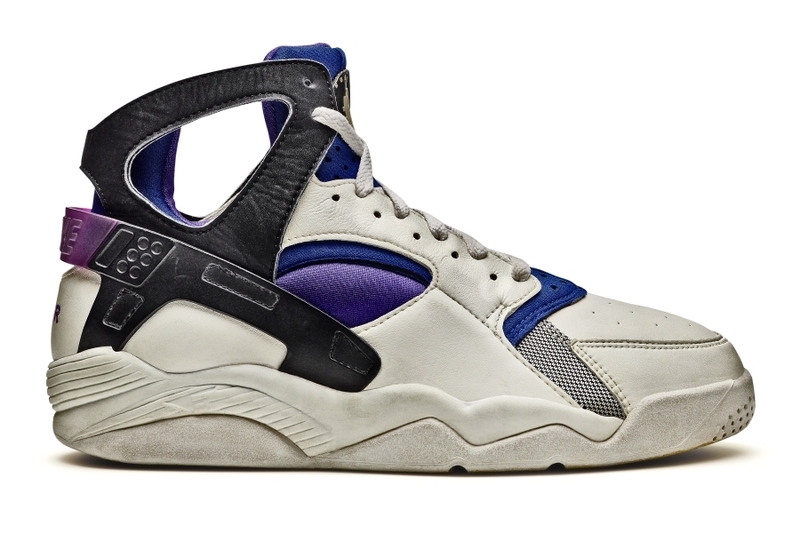 While the model didn’t officially call out Huarache in its model name, it did indeed have the neoprene tech and the associated logo. 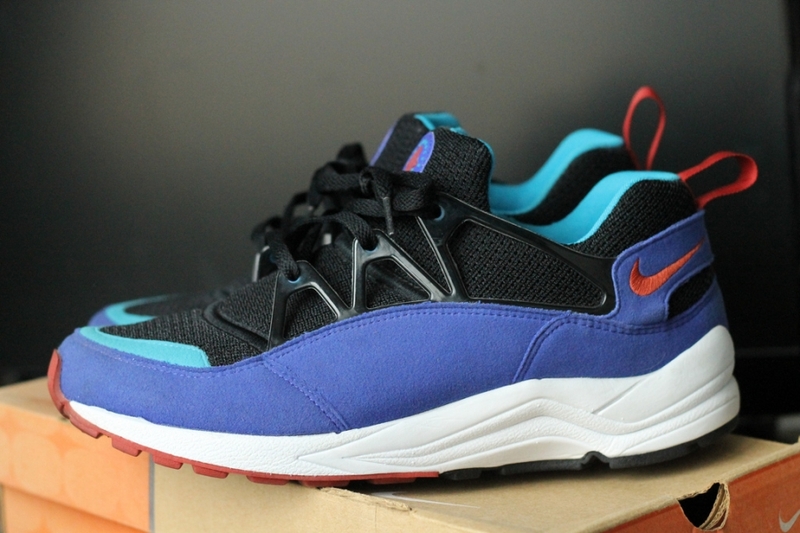 One of the earliest Air Huarache sequels that kept thing in the running realm was the Nike Air Huarache Light, not to be confused with the strikingly similar Nike Air Huarache Racer. The sneakers have been given the collab treatment in retro form a couple of times and even brushed up on another Tinker tech via the Burst version. 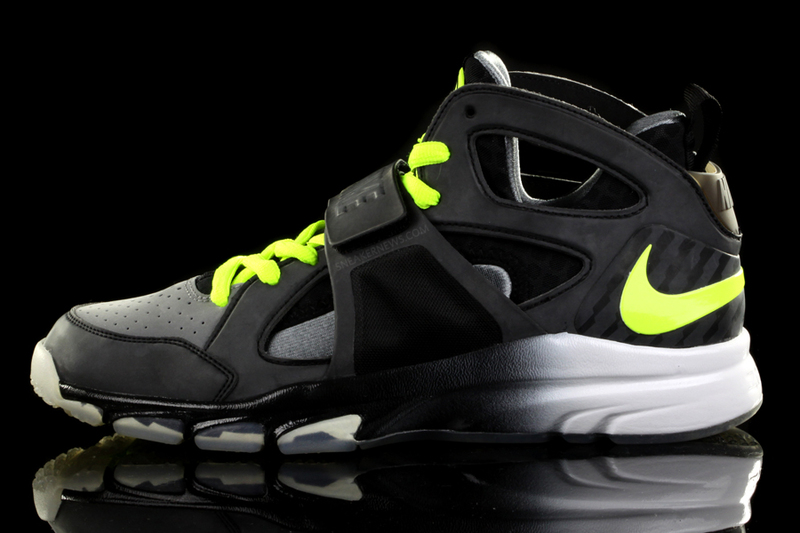 Another strapped up shoe from the earlier days of the Huarache’s reign. 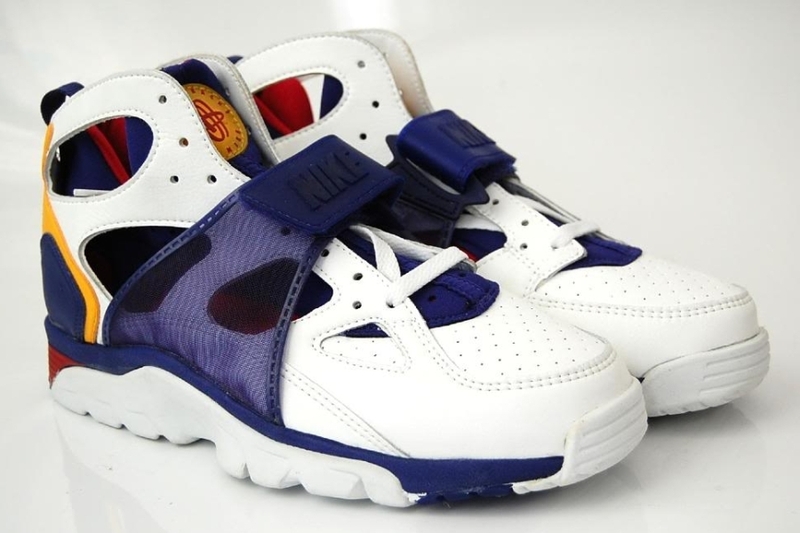 The Nike Air Trainer Huarache ’94 added even more lock down to the bootie build via that heavy duty fastening system, which definitely had some overlap with 1994 relatives like the Nike Air Unlimited and the Nike Air Huarache Plus ’94. 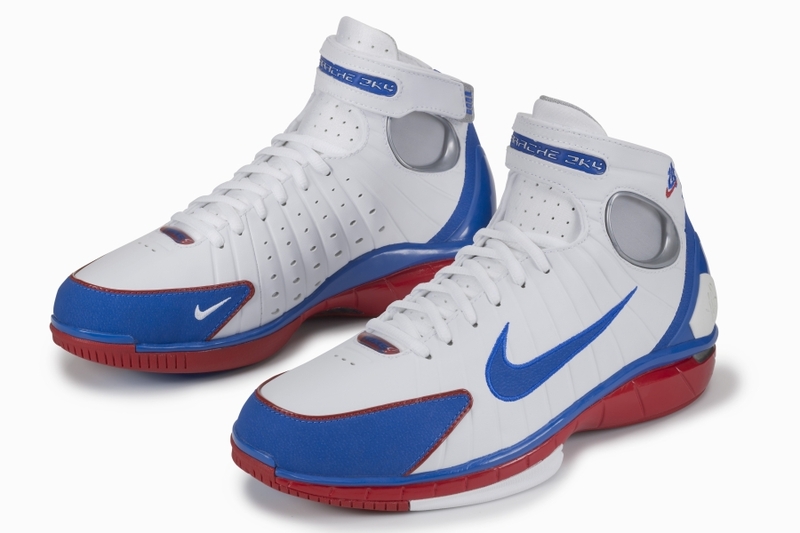 Another hit for the Nike Huarache technology over in the basketball category, the Eric Avar designed Nike Air Zoom Huarache 2k4 is considered by many as one of the best playing basketball sneakers of all time. Of course it didn’t hurt that they had a big name backing them – the shoe, along with the Huarache 2k5, was Kobe Bryant’s go-to before his Nike signature line emerged. 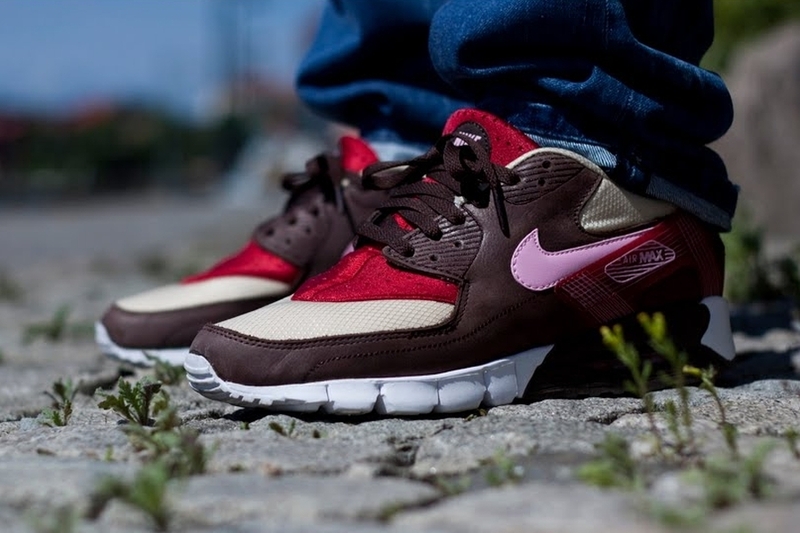 The Nike Air Max 90 Current Huarache was a serious Frankenstein sneaker. Tinker’s Air Max 90 and Air Huarache creations collided with the likes of the Nike Free category and this was the result. Special editions pitted East vs. West as boutiques DQM and Huf held it down for their coasts, respectively. The Nike Zoom Huarache TR Mid is another of the more recent performance models to carry the flag for Tinker’s Dynamic Fit technology. Since its debut the sneaker has been a favorite for Nike athletes across categories – Amar’e Stoudemire wore them on the regular and the Swoosh leveraged them as a key NFL model when they acquired the licensing for the league. Note that the above colorway was the 2011 “Superbowl” release. If there’s one thing Nike loves it’s mashup sneakers featuring a little bit of the old and a little bit of the new. 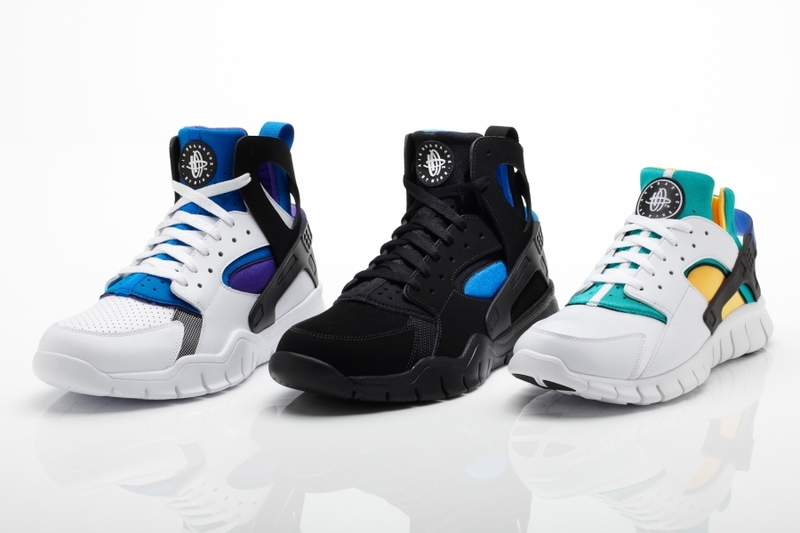 Back in 2011 we saw the rollout of the Nike Huarache Free 2012 series, which featured both the Nike Air Huarache and the Nike Air Flight Huarache trotted out with Nike Free kits on bottom (The Nike Air Huarache Light would later show up as well).